What happens when one of the most acclaimed fashion designers leaves his position as the creative director of an as much acclaimed fashion house? 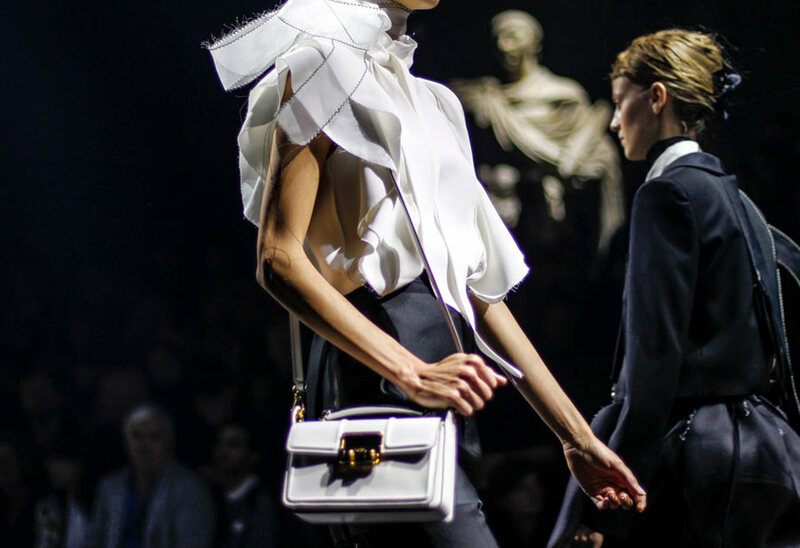 Such a situation is what the Parisian label Lanvin, founded by Jeanne Lanvin in 1885, is currently facing. Former creative director Alber Elbaz left the fashion house less than a week ago, leaving in one fell swoop also the direction of the upcoming Lanvin pre-fall 2016 collection. While Lanvin’s headquarters are working hard to decide who is going to fill Elbez’s big shoes (insiders and speculators claim that behind this decision there might be names such as Joseph Altuzarra, Olivier Rousteing and Haider Ackermann), Lanvin Studio is about to design the brand’s pre-fall 2016 collection. Behind such a studio team, whose line-up is going to be revealed in January as usual, there are big and international names such as Chemena Kamali, Elie Top and Lucio Finale. While Kamali and Finale will surely compensate Lanvin’s recent ‘loss’, giving the collection an interesting yin and yang perspective, Top’s experience with Lanvin will be the icing on the cake. In fact, while the former two are young emerging designers, Top has a long curriculum full of prestigious collaborations and collections. Chemena Kamali, a recent ready-to-wear talented designer who has just joined Lanvin’s eclectic team, has some interesting collaborations with brands such as Chloé and Alberta Ferretti. Having graduated from Central Saint Martins in London, Kamali is still quite a mysterious presence in the fashion industry, but will surely give Lanvin’s pre-fall 2016 collection a feminine and fresh touch. Fellow colleague Lucio Finale, having graduated from Accademia di Belle Arti in Naples, Italy, features in his CV some prestigious collaborations with Valentino and Givenchy, for which he designed shoes, bags and accessories. His first steps in the fashion industry include also a versatile collection of shoes, made of refined leather and minimal lines, designed for the independent brand called Finale Unlimited. Last but not least, Lanvin’s pre-fall 2016 collection will surely take advantage of the French-born jewelry designer Elie Top. Elie, who has been Elbaz’ longlife collaborator, has been Lanvin’s accessories director for nearly 15 years now and, although he has just launched a modern-looking eponymous line, he decided not to leave the fashion house in this critical moment. No one knows what Lanvin’s pre-fall 2016 collection will look like, but the headquarters’ decision to rely on the Lanvin Studio team is surely interesting and unconventional, and could even represent a new breaking point for the Fashion House, influencing its future main lines. Moreover, the brand’s trust in such young artists definitely leaves a good message for the future generations of young fashion designers, who could look up to Finale and Kamali as sources of inspiration.